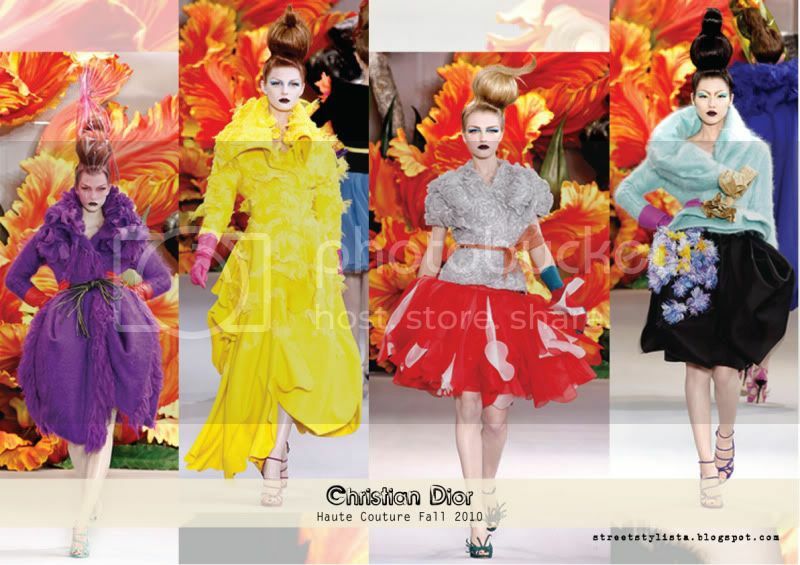 Couture week is here once again, soon enough it'll be time to play catch up with the Spring 2011 RTW collections. 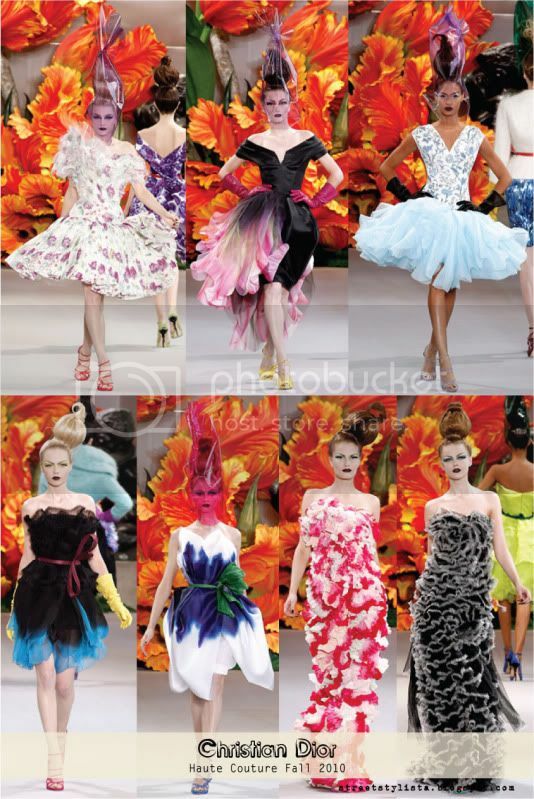 But first, a quick look at the Christian Dior collection, which saw a fresh burst of colours and very clearly inspired by florals seeing that many of the gorgeous dresses came in the form of petal-like details. 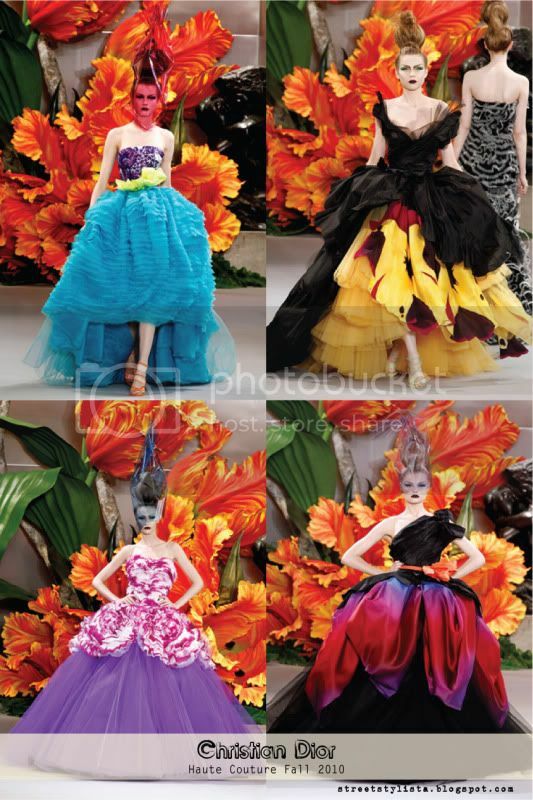 Even the headwear styling is done in such a way that it resembles a wrapped bouquet of flowers. Especially loving the gorgeous huge tulle dresses.